To me, Haarlem is the perfect Dutch city. I think it’s even more Dutch than Amsterdam to be honest. The perfect historical Dutch houses along het Spaarne river and hidden in courtyards, the amazing museums and excellent dining make Haarlem a perfect weekend destination during your trip in Holland. Check out this complete city guide to Haarlem The Netherlands and plan your trip. Archaeologists found proof of life along the banks of het Spaarne river dating 5000 years back. Logically, none of that is to be seen nowadays, though lots of historical reminders are. Just after Haarlem got city rights in the 13th century the city bloomed and became an important place of trade. During the 80 year war in the 16th century, Haarlem fought fiercely and kept the Spaniards out. After William of Orange took control of the city loads of Flemish refugees found their way to Haarlem, giving the city its southern flair. Even today. Haarlem The Netherlands: how to get there? Haarlem: how to get around? 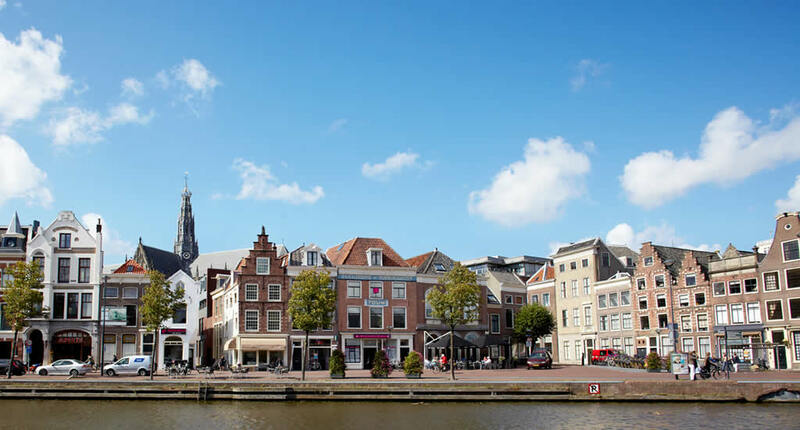 What to see and do in Haarlem? Where to eat an drink in Haarlem? Haarlem, The Netherlands: how to get there? It’s easy enough to take a break in Haarlem The Netherlands. Simply fly into Amsterdam. Check out the cheap fares to Amsterdam. Hop on a train from the airport and you will be in Haarlem within half an hour. To use (any form of) public transport in The Netherlands you’ll need an OV Chip Card, which you can charge as you go. Haarlem The Netherlands isn’t short of canals and larger river het Spaarne. Discovering Haarlem by water is one of the most fun things to do, as most canals are flanked by amazing old Dutch mansions dating back to Haarlems golden glory days. Join one of the daily canal tours. Do as the Dutch and hop on a bike when in Haarlem. This guided bike tour is great and takes you along the amazing sights of Haarlem, like a windmill along the river, the grand mansions, the impressive cathedral and hidden courtyards. If you’d rather bike without a guide, it’s cheap enough to rent a bike in Haarlem. My advice: don’t stick to just the city centre, but also take a look at Zuid Kennemerland national park or the beach. What to see and do in Haarlem The Netherlands? If you think that Amsterdam is the only place to see the famous Dutch masters, think again. Frans Hals Museum is one of the best museums in The Netherlands. The museum is set in an amazing historical building, with red painted wooden blinds and it’s just as gorgeous on the inside. With beautiful Delft blue tiles and a wonderfully peaceful courtyard. Frans Hals is famous for his ‘militia’ paintings (pretty much like Rembrandt’s Night Watch) and dozens of grand works are on display. And (this is lovely) no need to buy ‘skip the line’ tickets here. Again, one of the most amazing museums in The Netherlands. 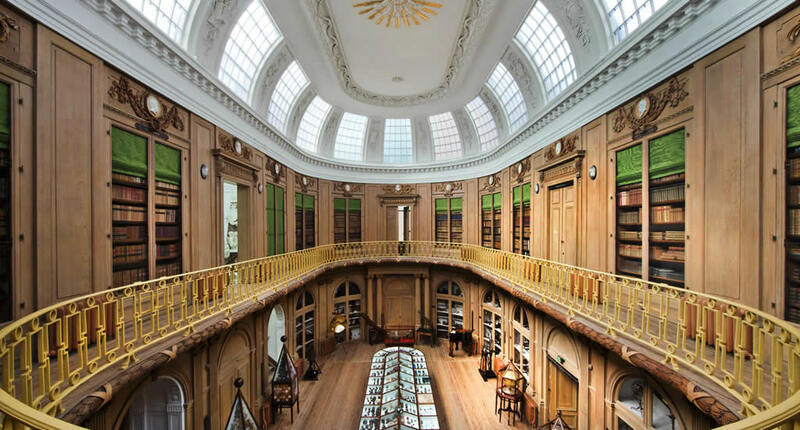 Teylers Museum is one of the grand buildings along het Spaarne and to see that magnificent building from up close is reason enough to check out the museum. The Ovale Hall is just amazing and hosts 2 of the permanent collections. The first one is a collection with works by Dutch and French masters. The second one is a vast amount of natural-historical specimen. The museum also hosts some excellent temporary exhibits. The gothic spire of the cathedral can be seen everywhere in the city centre and is a nifty signpost if you find yourself lost in the dwindling streets. Step into the St. Bavo Catedral to see the amazing interior with the immense organ at its heart. This organ is really special and even Mozart played it. You’d never guess from the outside, but this once watchmakers shop and house were used during the Second World War by Corrie ten Boom and her sister Betsie to hide Jews and take Jews to safety. The sisters were betrayed and sent to Ravensbrück concentration camp, where Betsie perished. Corrie returned and spent the rest of her days fighting for the victims of the Holocaust. Now the Corrie ten Boom House is a treasured monument and well-worth the visit. Sossy Boy is a Dutch store, though I believe there are some shops in Belgium as well, and Haarlem has the best Sissy Boy flagshipstore. You can buy really great clothing there, as well as accessories, home decor and toys. If you can’t decide, simply go and get a coffee and some cake at the extremely cosy lunch corner in the front of the shop. Am I really listing a train station as a thing to see in Haarlem? Yes, I am. 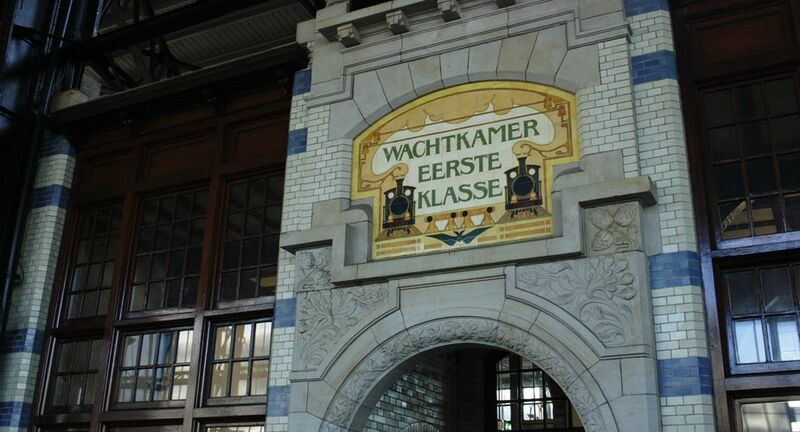 Haarlem station is built in Art Nouveau style and is simply gorgeous. Take a look at the glass stained windows at the entree and the tile tableaus on the platforms pointing out the different waiting rooms. 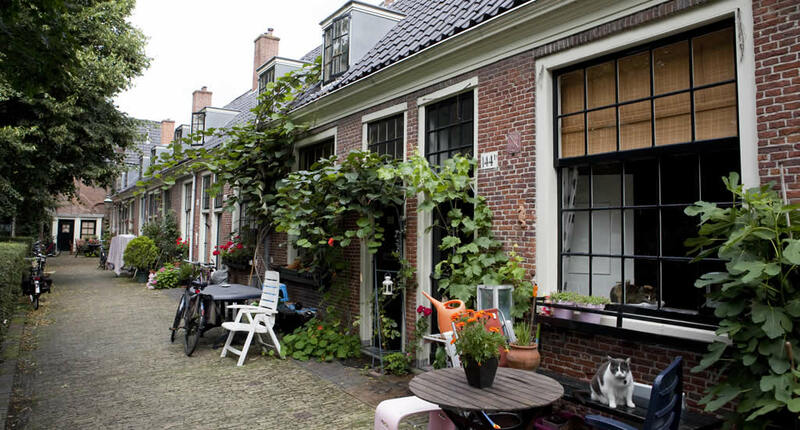 Just like Gouda and Deventer, Haarlem has dozens of hidden courtyards. I think the city has the most and also the most beautiful hidden courtyards in The Netherlands. All of these are flanked by gorgeous historical small Dutch houses and the gardens are all really well-kept by the inhabitants. 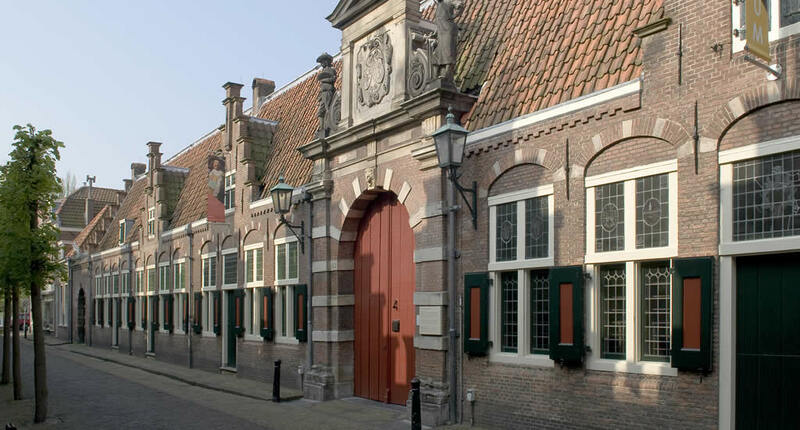 Take a free self-guided walking tour along the hidden courtyards of Haarlem. If you’re visiting Haarlem you’d be mad not to spend an afternoon at one of the most beautiful national parks in The Netherlands: Zuid-Kennemerland national park. The classical Dutch dunes are a real oasis and there are lots of walking and cycling trails. Take bus no. 81 from Haarlem central station to the national park. Maps and rental bikes are available at the visitor’s centre. The great advantage of going to Haarlem is its proximity to the beach. Bloemendaal is one of Holland’s most upscale beach resorts with loads of fabulous beach bars and beach clubs. From Haarlem take bus no. 81 to get to Bloemendaal. Your morning coffee (and cake, you will be ordering cake) should be ordered at Native. Two friends opened this café and to them, it’s all about coffee and fair trade. All the furniture in the shop is second hand and all produce is local. If you are gluten or lactose intolerant, the ladies have lots of goodies on the menu that you can order without having to worry about a thing. 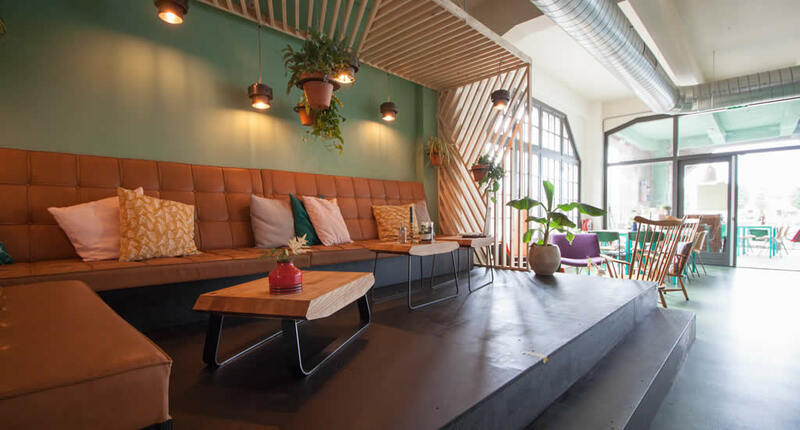 Another fabulous coffee spots, which could just turn into your favourite Haarlem living room, is By Lima. Everything on the menu is free of sugar. And there are many lactose-free and gluten-free options too. So without further guilty feelings, bite into a cookie or a brownie. Or order some soup or a wrap for lunch. Great food doesn’t have to be fancy, nor difficult. And Roast proves just that. The chicken plays the key role in this restaurant. During the day you can order special egg dishes, like Eggs Benedict. And at night your order roasted chicken, with fries, roasted potatoes or corn on the cob. All fresh, fair and organic. No complaints here. Honestly, The Louisiana by itself is reason enough to hop on a train to Haarlem The Netherlands. It’s just such a great restaurant. The menu is completely New Orleans inspired. Think lobsters, snow crab, oysters and king prawns. Or order some gumbo, fish tacos or smoked ribs. The bar is also well stashed and you can often enjoy live music. The Netherlands run a bit short of rooftops bars. Amsterdam has a few, as do Rotterdam. But that’s about it. Well, and there’s Dakkas in Haarlem. The name literally means ‘greenhouse on the roof’ and that’s what it is, as well as the most popular hotspot in town. On a sunny day, the rooftop terrace is the best place for a cocktail. Staying for dinner is also a good plan, as all dishes are prepared with seasonal and organic produce. Personally, I think this is an excellent place to visit on your day in Haarlem The Netherlands. At any part of the day. The restaurant is set in an old chocolate factory overlooking river het Spaarne, one of the best spots in Haarlem. The menu is Scandinavian inspired, so if you’re in the mood for fika or smørrebrød, Frisk is your go-to. If you’re looking for a good excuse, you simply have to go for a wine tasting at Viqh. It also counts as sightseeing, as the wine bar is set in one of the prettiest buildings surrounding the Haarlem market. I highly recommend ordering the mini wine tasting of three small glasses of wine and some nibbles. 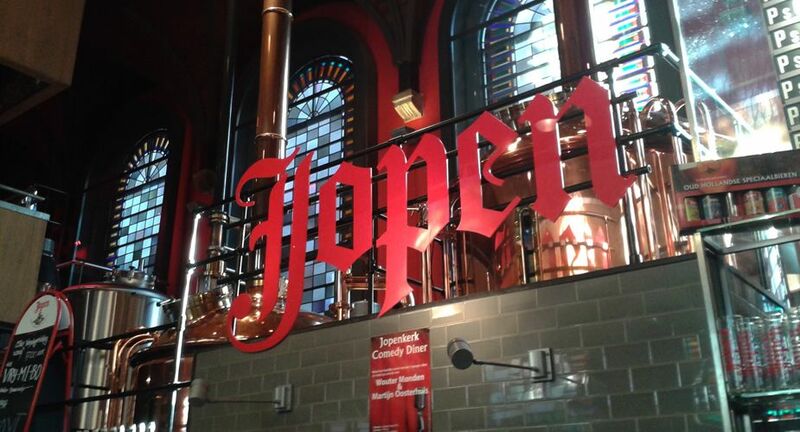 To be fair, I think brewery Jopenkerk can also be listed as one of the top sights to go and see in Haarlem. This fairly new brewery is set in an old church on the edge of the city centre. And the brewing kettles and casks are right there where people once sang their Psalms. It’s possible to go on a brewery tour, though just sitting back with a freshly draughted beer and taking in the view is just as pleasant. 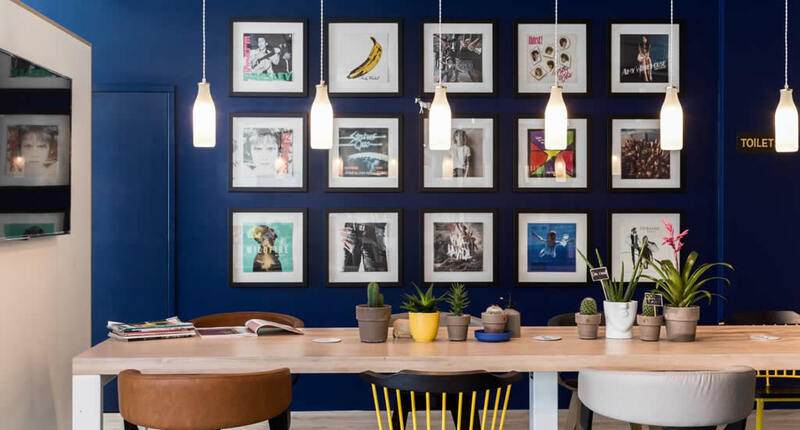 Personally, I think this is one of the best posh hostels (or boutique hostels) in The Netherlands. First of all, the location is great. Less than half a mile from the Market. But the real appeal is the trendy decor, which is loosely based on old Dutch design. In the morning you’ll also feast on a real Dutch breakfast, with real pindakaas and hagelslag! It’s easy enough to relax at the bar at night. Affordable hotels are hard to come by in Haarlem, but Bambu is an excellent choice. 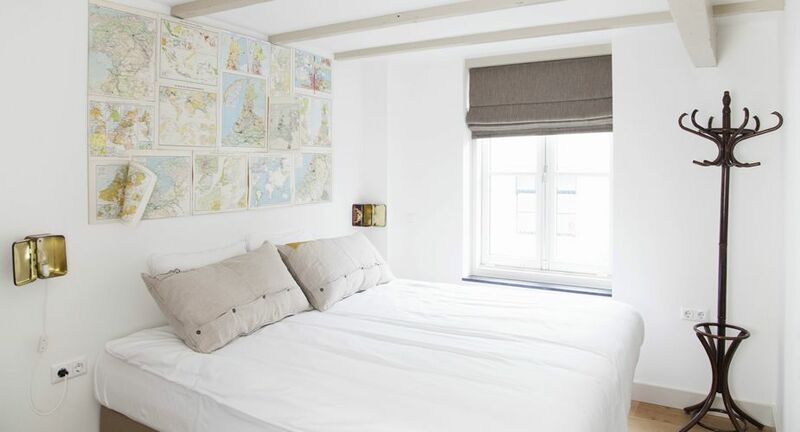 The location is perfect as all rooms overlook the market square and the cathedral. There are double rooms, family rooms and budget rooms available. Extra service: if you get thirsty, simply grab a drink from the well-stocked fridge. This rather new hotel in Haarlem The Netherlands is excellent value for money. Located at the edge of the city centre, all the sights within a few minutes walking distance. All rooms are very spacious and decorated in bright colours. Thanks to the colourful lobby and bar the rather large hotel feels quite homely.